And the plot thickens! Right now, I’m going to apologize for how ridiculously long that conversation between Sonic and Black Cloak was. Literally half the episode contained in one conversation, it’s almost a little sad. But I had a lot that I wanted to have said, and I got all of it said in a way that makes sense, so I’m proud of it. In fact, there was even a little more that I wanted to have said, but I couldn’t find a place in the conversation to put it. So have you figured out who the Black Cloak is yet? Last episode was all about throwing you off, but I dropped a great number of hints this time around. That cliffhanger at the end was one of the big ones. Now, I am feeling a little bit sad at this point that I’m having Sonic being so mistrustful as a person. It does sort of go against his old character. But then, I suppose, that’s exactly what I’m aiming for. With a big change coming in his life, Sonic, like any other character, needs time to figure himself out. One thing I am very glad for, however, is the time he’s getting with Rouge. These are two characters who have essentially never interacted before, besides him giving her the Inhibitor Ring, and them fighting once in Sonic Heroes. Ideally, I would be showing their personalities clashing a bit more, considering that they each have very different outlooks on life, but Sonic’s character struggles are making that a lot less true. But what’s more important is that they are getting this time to bond over Shadow. In the future of the series, I have something very important planned, which requires Sonic to trust her far more than their few previous encounters would justify. And…I suppose that’s all I have this time. 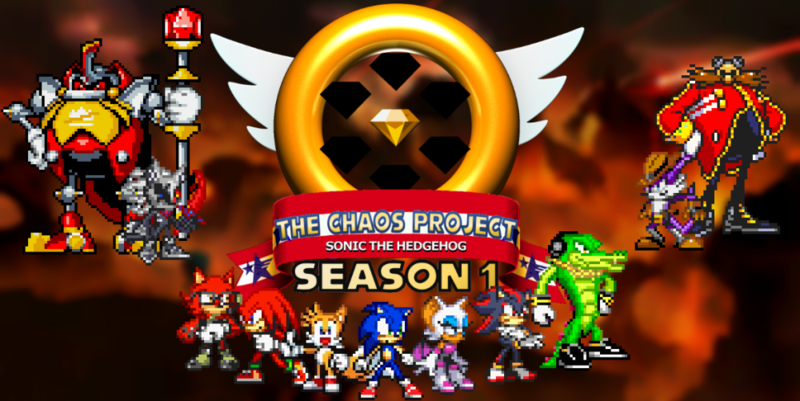 This entry was posted in Episode Review and tagged Black Cloak Arc, Rouge the Bat, Sonic Heroes, Sonic the Hedgehog, The Black Cloak by Chaos Project. Bookmark the permalink.